Promotion 5 + 1 gratis ! 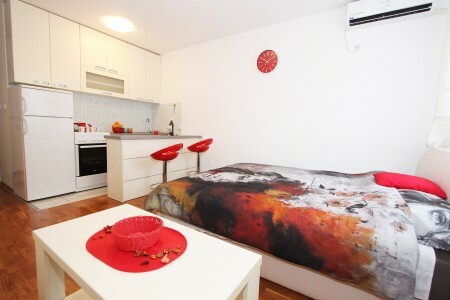 Apartments in Belgrade, as always, are looking forward to meeting our guests’ needs. We made a SPECIAL OFFER for certain Belgrade apartments, which you won’t be able to resist! From our diverse offer, we selected a few apartments available at more than affordable prices. SPECIAL OFFER 5+1 – pay for five days, stay one more day for free! Take advantage of our special offer; choose the apartment in Belgrade that you like and book today!